We understand that a few of our Canadian readers have captured the recent pay-per-view concert film of Paul McCartney's concert in Halifax. For those who want to save this DVD as a momento, here's some artwork for a standard DVD box to store it in. We have heard that "I Saw Her Standing There" was edited out of the finished film, so we have omitted that title from the set list on the box, and included it as bonus material. 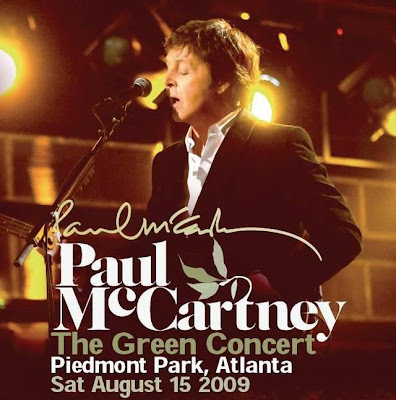 Here's the poster for the upcoming Paul McCartney concert at Piedmont Park, Atlanta, Saturday, August 15th. Dubbed "The Green Concert", it marks the end of Paul's short summer tour of the USA and Canada. McCartney is playing for the beetles and other living things in a special concert benefiting Atlanta's Piedmont Park Conservancy. Macca's "Green Concert" will raise money for the park’s 53-acre expansion. The concert will "benefit the conservancy’s 40 percent expansion of the Park’s green space and will also be an opportunity for people to learn and live a greener life," said Yvette Bowden, Piedmont Park Conservancy president and CEO. General admission tickets cost $79.50. Doors open at 4 p.m. for general admission ticket holders and at 3 p.m. for Piedmont Park Conservancy members and VIP ticket holders. VIP tickets cost $400 and include a reception, an open bar, exclusive hillside seating with the best view of the concert, early entrance at a separate entrance from general-admission ticket holders and air-conditioned restrooms. The former Koch label, who Ringo was signed to for a while, continues to exploit their archives after he has left the label. The new re-christened label (E1 is the new name) has with this release managed to give us 3 versions of this concert. First there was the CD. Then, in April this year, they released a DeLuxe version, featuring the CD augmented with a DVD. But that DVD was just a foretaste of the one they are going to release September 15th. 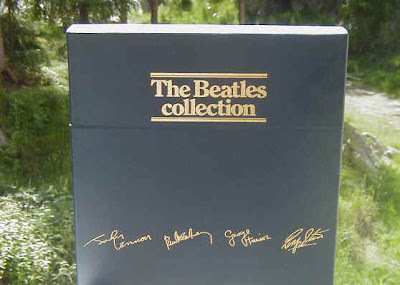 The DVD included with the DeLuxe album package only had four songs, while this stand alone DVD boasts 14 songs (including a guest spot by Colin Hay). This is how the edited concert was broadcast in the USA by PBS in 2005. The actual live concert was a little different. We find Ringo in a relaxed mode on a short summer tour to promote his then recent studio album, "Choose Love". This concert DVD, along with the Storytellers VHS (both by Ringo and the Roundheads) are both highly recommended. 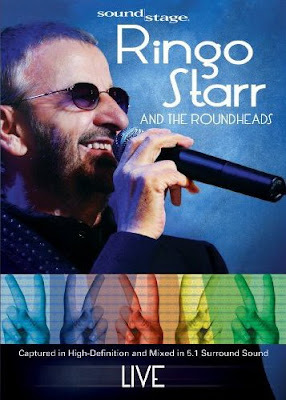 Free from any All Starrs, Ringo takes center stage comfortably, which is how we Beatles fans like it. 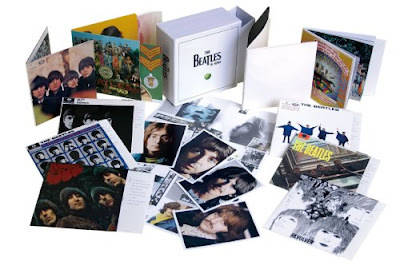 The stereo boxed set features the albums Please Please Me, With The Beatles, A Hard Day’s Night, Beatles For Sale, Help!, Rubber Soul, Revolver, Sgt. 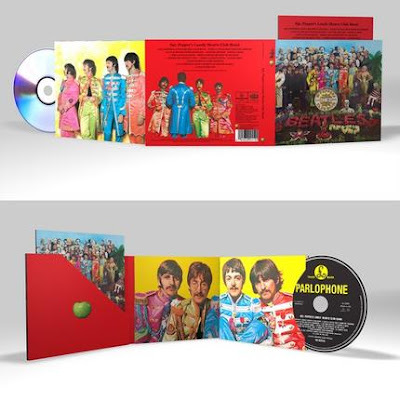 Pepper’s Lonely Hearts Club Band, Magical Mystery Tour, The Beatles (White Album), Yellow Submarine, Abbey Road, Let It Be & Past Masters Vols. 1 & 2. The first four albums feature the stereo mixes, available on legal CD's for the first time. Help! and Rubber Soul contain the 1987 stereo mixes by George Martin which were done for the original CD’s. 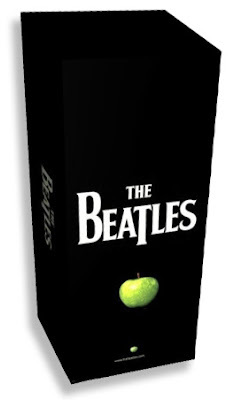 The bonus content on all original albums (not including Past Masters) is a minidocumentary which tells the story of the album using original footage from the Beatles' own archive as well as other rare footage and the voice-over is entirely spoken by the Beatles themselves and George Martin. The video comes as a Quicktime file for playing on your computer. These mini-documentaries are also packed onto a single DVD which is exclusive to the stereo box set and will not be available anyway else! All the single albums are housed in triple panel card packages using conservation grade FSC paper and now come with a set of historical notes on each album to accompany recording notes on the actual process of making the records at the time. 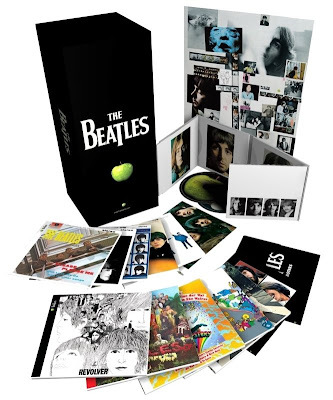 The Beatles (White Album) comes in a four panel case and includes the original poster from the vinyl release resized for CD. Lastly, the two Past Masters albums have been combined into one pack as a double CD. This set is due to remain on catalogue although EMI tell us that the price will increase after it has been released. Also, the quicktime mini documentaries on the individual album discs will be removed after the initial run of pressings. The extra DVD in the boxed set will remain, we hope. The Help! And Rubber Soul discs feature the original 1965 stereo mixes of the albums as well as the mono. These were previously only available on rare CD's in Canada, due to a mix-up at Capitol/EMI! Past Masters has been renamed Mono Masters and the second disc is slightly different. 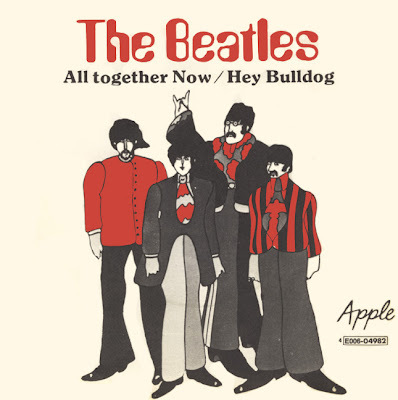 Ballad Of John & Yoko, Old Brown Shoe and Let It Be are replaced with Only A Northern Song, All Together Now, Hey Bulldog & It’s All Too Much. These titles from the Yellow Submarine soundtrack were originally scheduled for release on an EP in 1969. There is an essay in the Mono Masters booklet that explains in some detail the history of these recordings. All the albums (apart from Mono Masters) come in their original vinyl-style packaging reduced in exquisite detail to CD-sized format. 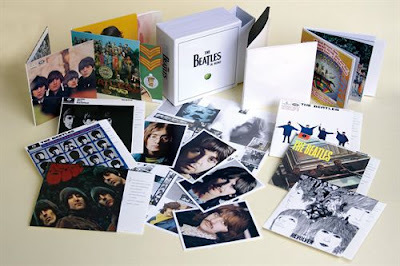 This includes everything from the recreation of the vinyl label (printed on the CD itself) to the paper inner sleeve complete with the original text. The jackets themselves are exact reproductions of the original UK vinyl releases and since they are being manufactured in Japan, they are of the very highest quality and had the very highest possible attention to detail in the production. This set will be limited! The rumours say 10 000, but we do not have any information whether that number is on a world basis, just the USA or just Amazon. EMI tell us that they are hoping to supply all their orders but this depends on demand. Please order early to avoid any potential disappointment! To pre-order, click on the appropriate link below. 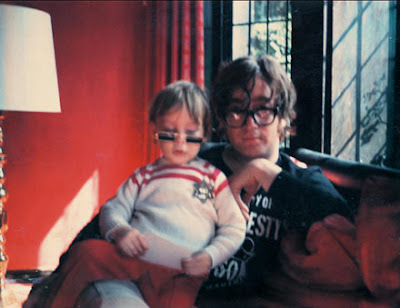 Julian Lennon says he would consider putting music to these words, explaining: "If the time was right, if it felt right, then I would consider looking at the lyrics and maybe trying to work with them and write something. But obviously only in honour of Dad. I guess in some respect it would be like coming home." The exhibition will run until December 31st, 2009. Lucky, really - because I'm going to be in Liverpool at the end of August. 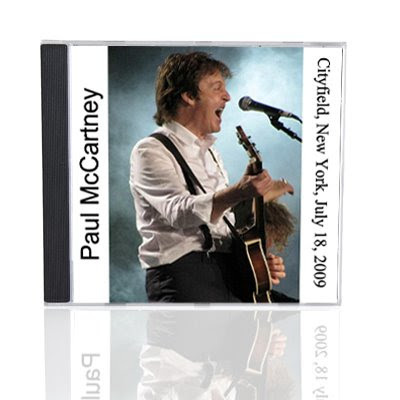 Paul McCartney's Citi Field concert from the 21st made it out on bootleg, here's the artwork for it. Still no sign of the 17th. 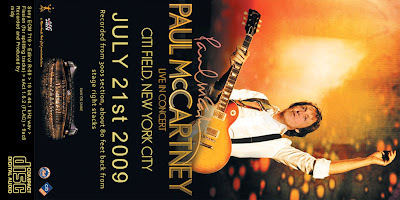 Bootlegs from Paul McCartney's recent concerts at Citi Field, NY are already in circulation on the internet. We have heard about boots from the 18th (depicted) and the 17th (where Billy Joel was guesting on "I Saw Her Standing There"), but yesterday's concert has not yet made it out. The japanese bootleg company Piccadilly has announced a 3 CD set from the concert on the 18th, pressed on silver discs. 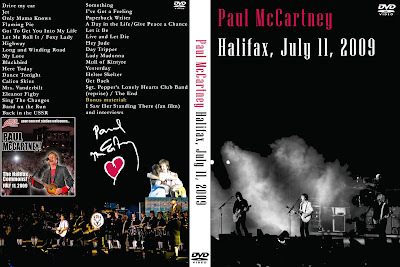 Furthermore, even though the Halifax concert on the 11th of July was broadcast in Canada as pay-per-view on the 16th, both in Hi Def and regular quality, we still haven't heard of a DVD bootleg from that broadcast. Let us know if you hear about it! UPDATE: It seems I spoke too early when I said that there was a bootleg available from the 17th. It seems that it was just mislabeled, and really contained the concert from the 18th. Meanwhile, the concert from the 21st has showed up. We have been sent this description of "Mono Masters", the "Past Masters" equivalent which will accompany the limited edition boxed set "The Beatles in Mono", due out on 09/09/09. And it looks like we'll finally be getting that planned Yellow Submarine EP as bonus tracks. "Past Masters has been recreated as Mono masters to reflect this period,duplicating the Past Masters tracklisting with the exception of tracks that only ever appeared in stereo. As an added bonus, 5 tracks never previously released in mono are included. These are Only A Northern Song, All Together Now, Hey Bulldog, It's All Too Much plus Across The Universe. These were originally scheduled for release on a planned 1969 EP. There is a fantastic essay in the Mono Masters booklet that explains in detail the history of these recordings and goes some way to highlight just why these versions are so eagerly anticipated." 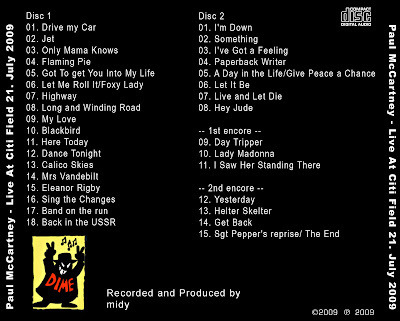 The Mono Masters 2CD will only be available as part of the limited edition "Beatles in Mono" boxed set. 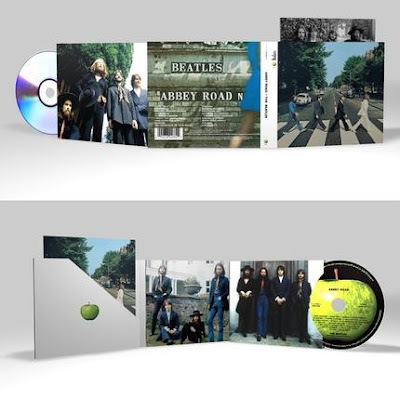 There has been considerable buzz surrounding the new Beatles remasters, due for release in September. There should be. We have all been waiting for this day, and it is about to arrive - finally! Thanks to a long-time supporter and friend to this project, I have had the opportunity to hear genuine samples of the new remasters due out in two months. They are good. Very good. Those of you who will be buying them - and those of you who have already preordered - will not be disappointed. In fact, I will venture to guess than many of you will be more than pleasantly surprised at how good they sound. And with what promises to be outstanding packaging all around, it will be a collector's nirvana. He went on to explain that his credo had been to make his CD edition until EMI did the right thing and released remasters to be proud of. He says the only reason he did this was because Apple/EMI/Capitol would not - and because he so very much loves the Beatles. He explains that because EMI/Capitol began their release of the American LPs on compact disc a few years ago, and now EMI has tackled the British catalogue in fullest detail, his work is no longer called for. He has come to the realization that the Dr. Ebbett's material does not - and will not - sound better than what is coming commercially in September. People he trusts agrees with him. The remasters sound remarkably well balanced, with solid, punchy bass, smooth mids and not-to-harsh, yet crisp highs. In comparison, many of the Ebbetts masters fall short - weaker bass, dimished mids, and often too-bright highs. We've gotten these reports from the soundchecks and rehearsals of Paul McCartney's recent concert in Halifax, Nova Scotia. Then from 9 :50 TO 10 :15 PM they rehearsed Day Tripper, unfortunately the sound from the PA was cut off but the video screen keep rolling, near 10: 14 pm the sound went back with the final chords for Day Tripper - seemed they wanted to keep the "surprise" top secret. -Band on the Run (Complete, mostly instrumental with the band doing the chorus. The soundcheck lasted one hour. At the usual pre-concert songs, mainly early Fireman songs and "Twin Freaks" style mixes, Paul paid his tribute to Michael Jackson by inserting "Say Say Say" into the mix. In the concert, McCartney was about to launch into "Mrs Vanderbilt" when something caught his eye: a sign reading "Will you sign my arm so I can get it tattooed?" McCartney invited Audrey McCombs on stage and signed her arm as requested. McCombs made good on her promise once she got home to California. I made my sign that said "Will you please sign my arm so I can get it tattooed on?" and I held it up during Calico Skies because I knew he was going to talk about signs afterwords. The first time he saw it he looked so puzzled!!! 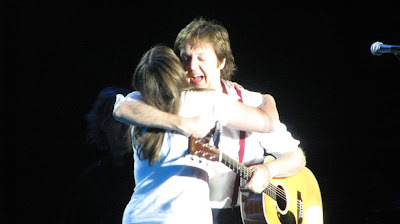 Next thing I know I'm climbing over the barricade and I'M GIVING PAUL MCCARTNEY A HUG!!!!!!! Then he asked me where I wanted it and I pointed and all I could say was OH MY GOD!!! Then I turned to leave and I saw Rusty and decided to give him a hug too....then I thought, well, why not the whole band!!!! So I went to Brian and then went over to Abe and told him that I saw him with Eric Clapton like a week and a half ago, then I got up and gave Wix a hug!!! They were going to put me back in the crowd, but I was freaking out so much that they took me to the medic tent and I sat there crying with happiness and drinking water. Then when they went to put me back into my spot Paul said "Ah here she comes, all tattooed!" and was looking at me and I mouthed "I love you, I love you so much!" July 16th, the concert itself was broadcast in Canada as pay-per-view on EastLink Digital Cable, both in regular quality and high definition. We hear the broadcast was like this: Camera starts on band making their way to the stage, then follows the complete show straight through, and follows the band offstage. 2 and a half hours. My advice is to keep an eye on your favourite download sites or bug your local bootlegs DVD dealer. 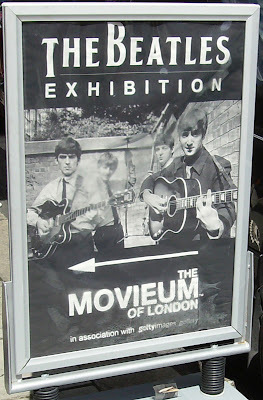 I just came back home after a week in London, and one of the things I did there was visit the Beatles exhibition at "The Movieum", the London Movies museum. The exhibition marks the start of a collaboration between the Movieum and Getty Images, where the picture agency will be displaying themed images from their collection. I won't be discussing the photos, because these are mostly well known photos of the fabs, representing the years 1963-1969, most of them were Robert Whitaker's pictures from 1966 in mostly black and white, but the Movieum also displayed some real items. 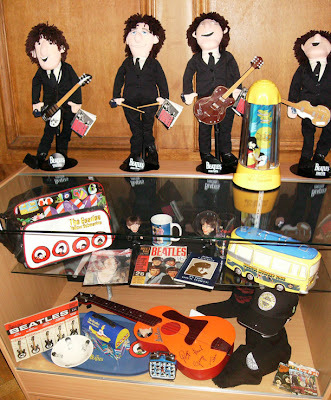 Here are some Beatles dolls on top of a collection of memorabilia old and new. 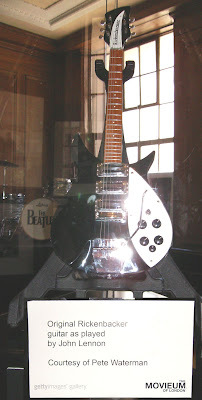 Here's John Lennon's Rickenbacker, borrowed from Pete Waterman's collection. Pete Waterman of 80's highly successful songwriters team Stock, Aitken & Waterman fame has offices in the same building as the Movieum, which is probably the reason why he lent his Rick to the exhibition. I'm not quite sure which one of Lennon's Ricks this is, and it looked all shiny and unplayed. The oldest one is owned by Sean, there's a fake one hanging at London's Hard Rock Cafe and a genuine one at the John Lennon Museum in Japan. Another of Lennon's Ricks is on display at Rock and Roll Hall of Fame, lent by the Lennon estate. So this one's a mystery to me. 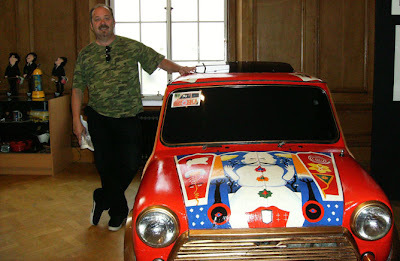 This is me with George Harrison's psychedelically painted Mini Cooper. 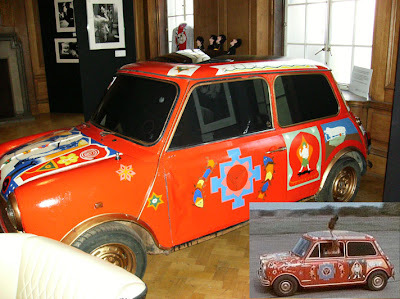 George Harrison owned the Mini that featured in 'Magical Mystery Tour'. The Mini, an Austin Cooper 'S', LGF 695D, was built for George Harrison by Harold Radford (Coachbuilder) Ltd in late 1965 and painted in Metallic Black. 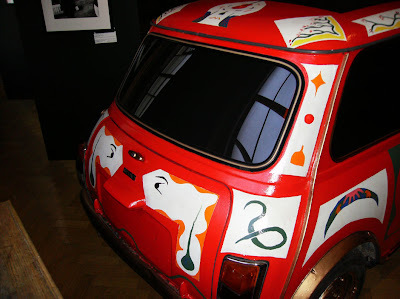 In early 1967, the car was repainted and the psychedelic pictures were added using a book, Tantrum Art, for inspiration. 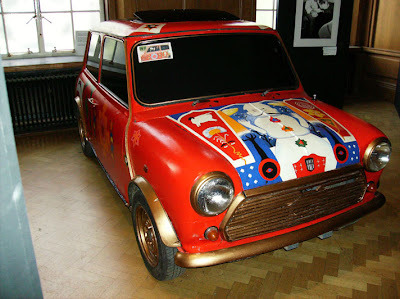 The Mini then was used in the film 'Magical Mystery Tour', which was screened by the BBC on the 26th December 1967 in black and white then again in colour in January 1968. Shortly after the film, the Mini was given to Eric Clapton, but Harrison got it back in the 1970's. The car was due for a repaint, and was stripped ready for painting. Unfortunately, no one had taken good photos of the paintings before the job, so it was impossible to have the old paintings reproduced faithfully. It was eventually repainted using old photos and the film for reference, although there are several differences. Here's a comparison between the two paint jobs, the small picture is from Magical Mystery Tour. 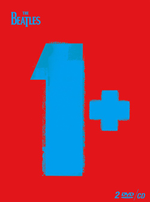 Click for a bigger image. 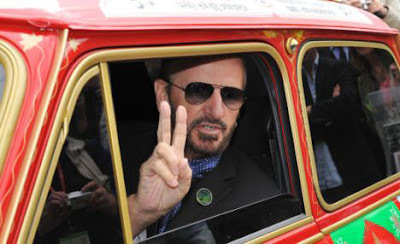 In 2008, Ringo Starr arrived at the annual Chelsea Flower Show in George’s Mini, driven by Damon Hill. That year, "A Garden for George", a tribute to the life of George Harrison opened. In 2009, the car was commemorated by a one-off "Special Edition" model, which the car manufacturers presented to George's widow, Olivia Harrison. 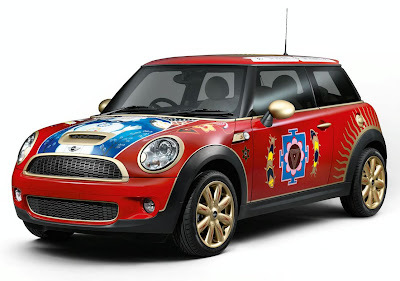 The car was then auctioned off at the May 2009 "Mini United" fair in the UK to support George's Material World Charitable Foundation. But the original was to be found at the London Movieum. Day Tripper and Mull of Kintyre were the two "surprises" at the Halifax concert. Okay, we've come to expect Mull of Kintyre in Canada, he usually reserves that song for Canada and Scotland, because they're the two places where he can find a pipe band. 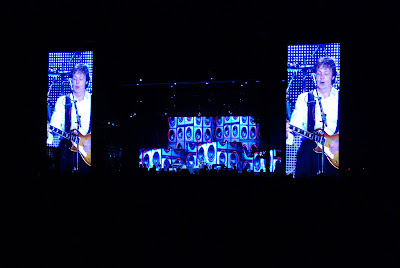 But Day Tripper was a treat, it has never been played solo by an ex-Beatle before. Giles Martin and yours truly. Yes gang, WogBlog is on the road again! Vacation part two is taking place here in London, and I lucked out twice today. 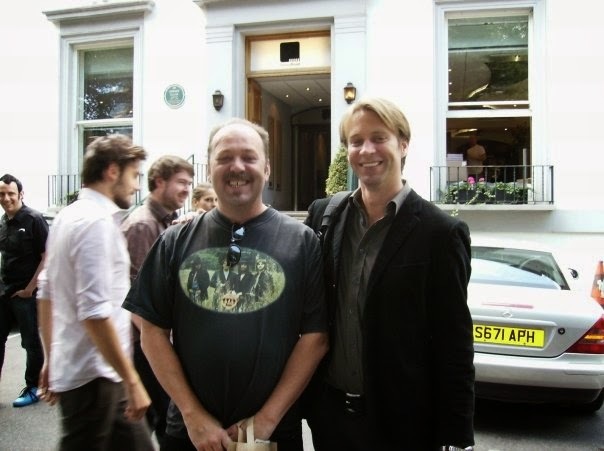 I was at Abbey Road for "a quickie", when I spotted Giles Martin coming out of the building, accompanied by some people from Harmonix, the company behind The Beatles:RockBand. There was also a TV crew at hand, who were filming something or other. In the photo of Giles and me, the people in the background are in that film. I asked Giles what he was up to, and he told me that he was putting the finishing touches to the game. He expected to reveal the full track list in about a month. 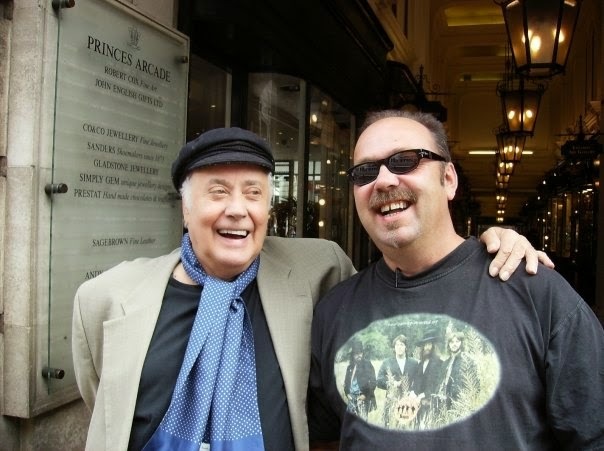 Then after lunch, my son and I were walking along Piccadilly when all of a sudden, Victor Spinetti came out of the Prince's Arcade. He was very kind and posed for a photo. I asked him if he was working at the moment, and he told me had just come back from five shows in America. You'll notice I was wearing the same t-shirt as Svein Sivertsen from my last posting. These shirts were specially made for the Norwegian Wood fan club during Svein's years as President of the club. My good friend, Svein Sivertsen died peacefully on the night to July 7th. He had been battling with cancer for a while, and lost. We first saw each other at a Neil Young concert in 1993. He was wearing a John Lennon t-shirt, and I was wearing a Rubber Soul t-shirt, so we noticed each other. 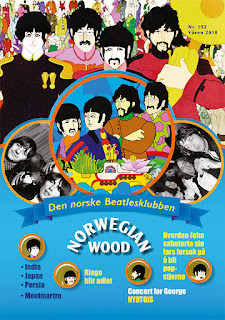 The next evening I phoned him, because I wanted to ask him to start writing a bit about The Beatles for the Norwegian Wood Beatles Fanclub I was running, he had been a contributor in the early days of our fanzine and I needed new input. We discovered that we had both noticed each other the previous night, without knowing who we were. We had a good laugh about that. He started writing articles again, and we became fast friends. He used to celebrate the Beatles' birthdays by throwing parties at his house and I made an effort to join him for at least one party for each member of the band. He filled his house with Beatle people, making Linda's veggie meals, playing music, having quizzes, showing Beatles films and documentaries and a high point of every Beatles party was a well prepared lecture either by the host or other Beatles experts. When I called it a day as fan club president, he became my successor, and made a good job at it. 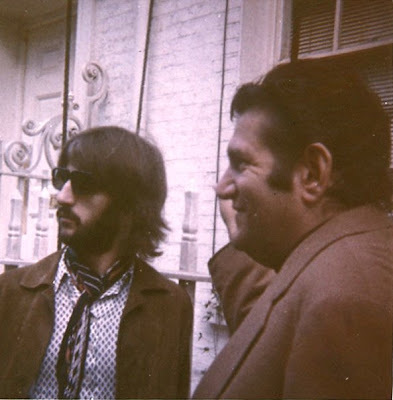 In 1996 he and I and two others made a pilgrimage to England, where we visited old Beatles movie locations, sought out their old private residents and celebrated Beatles Week in Liverpool. Nearly a decade later, Svein overcame his fear of flying to join me and another friend in New York to take in the Beatles sites and to see Paul McCartney at Madison Square. Svein specialized in one of the stranger sides of Beatles collecing, he collected cover versions. That was a result of the meagre years at EMI in the seventies and eighties when no interesting Beatles material was released. Of course, he also collected Beatles and solo-Beatles CD's. He had abandoned vinyl when CD's came along. Another of his passions were books about The Beatles, and he had quite a collection. When he got ill he re-organized his collection and read more Beatles books than ever. He was always a man with a great sense of humour and he would laugh a lot at himself and other people's strange obsessions. He believed that Beatles fans are able to take themselves a lot less serious than fans of other bands or pop stars. Another of his facets was that he liked Madonna, and about a week ago he text messaged me and revealed that he had bought ticket's to Madonna's concert here in Norway on the 28th of July, and he hoped to bring his family both to the show and to take them on a railroad trip to Hamburg after that. He was worried that he was not in a good enough shape to realize these plans. Sadly he wasn't. 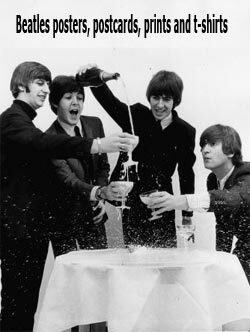 The last thing he asked for was that something should be played to celebrate Ringo's birthday. He left behind him his life partner, a daughter, a son and a grandson. And a big gap in my mind. I'll take his advice and have a good laugh at myself every now and then. Join Paul Salzman and Ravi Shankar for a possible life-changing experience! 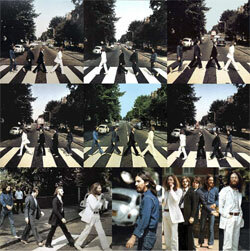 The photographer and the sitar master are inviting Beatles fans to a journey which will take place in February 2010. The Beatles In India: a healing journey in many ways captures the impact India had on the Beatles. 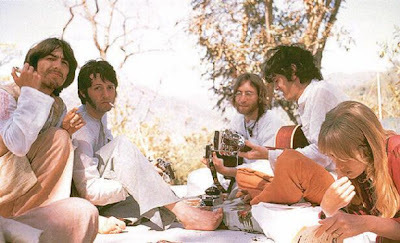 Timed with George Harrison's birthday which we will celebrate at the Ravi Shanker Institute, meeting with many of the personalities who were with the Beatles and experiencing for ourselves something of their sojourn in Rishikesh, this is a journey into one of the most important events in our lives. Tour participants will be able to see some of the most unique photographs of the Beatles, hear from people who were with Beatles, join performances of people who have performed with the Beatles and it will be Beatles and India! In December 1967, 23 year-old Paul Saltzman traveled to India in search of himself. To his great surprise, he found the Beatles in India. Paul spent a magical week at the Maharishi Mahesh Yogi's ashram. He learned meditation and hung out with John, Paul, George and Ringo. Thirty years later, he found the photos he'd shot and put away in a cardboard box: The Beatles in India. "...like a footprint left in the sand, and I'm reminded of the path that's been washed away and the Greek proverb, 'You can never enter the same river twice.' As the ashram I knew is gone, so too are the Beatles. And yet, we can evoke their magic through their music, their words, and their photographs." 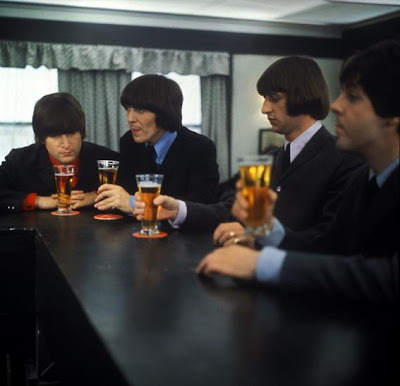 Also previously documented by Tammy over at Beatlephotos are three photographs from the recent Christie's auction (see previous post). 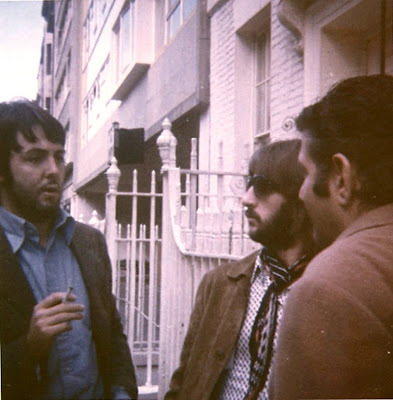 Paul McCartney meets up with Ringo and Allen Klein outside Savile Row 3, the Apple offices. Christie's description: This collection of photographs were compiled by one obsessive fan, who actually ended up on the Apple payroll. The photos are images she took herself when religiously waiting outside various Beatle-related addresses in the hope of seeing, and possibly meeting, a member of the band. Judging from Paul's clothes, I took it that these three photos were taken at the same occasion, but I could be wrong. 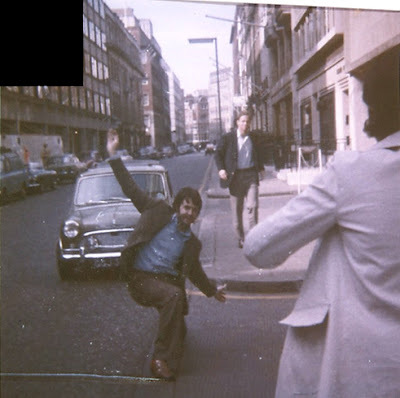 The photo of Paul arriving and posing depicts someone in a grey jacket, who is not seen in the other two photos. The three photos were sold together with fifty other candid photos, and the lot sold for £5.625 or $9.377. July 1st, Christie's held a Popular Culture & Entertainment auction in South Kensington, London. The auction brought in a total of £782,412 (British pounds). 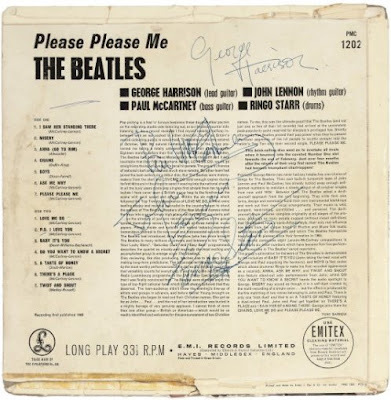 Among the various items auctioned was a collection of material given by Beatles Road Manager, Mal Evans, to his parents, comprising: a black and white publicity photograph of the Beatles, 1964, signed in blue ink by John Lennon, George Harrison, Paul McCartney and Ringo Starr, additionally inscribed in George Harrison's hand To Mal's Mum And Dad, Best Wishes from the Beatles, a page from a concert programme [probably for the Tower Ballroom or Empire Theatre, Liverpool, October, 1962] depicting a black and white picture of Little Richard, signed and inscribed in blue ballpoint pen "May God bless you always, Little Richard, 1710 Virginia Rd, Los Angeles 19 Calif", a black and white publicity photograph of Jerry Lee Lewis, 1960s, signed and inscribed in blue ballpoint pen "To big Mal, Keep Rocking, Sincerely Yours, Jerry Lee Lewis", a black and white publicity photograph of Ringo Starr with his stand-in during the filming of Help! in Austria, 1965, a printed Christmas card from Apple, 1970 and a corresponding WFIL mailing envelope addressed to Mal Evans at Apple, 24 November, 1971. The lot went for £6.000 ($10.000). 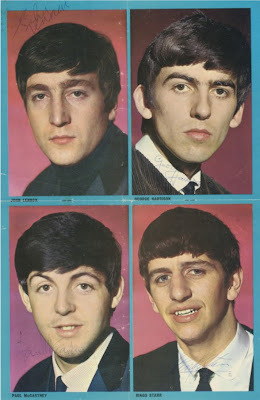 The depicted item above is a copy of Pop Pics No.8, with a double page colour machine-print photograph featuring individual portrait shots of the Beatles, and signed in blue ballpoint pen by John Lennon, Paul McCartney, George Harrison and Ringo Starr by their respective image. It went for £4.375 ($7.293). 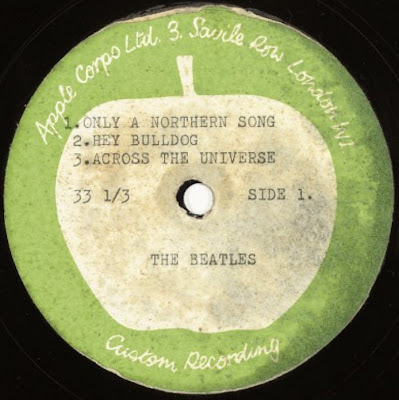 The Apple acetate whose label is depicted at the top of this posting was a 10" one, with Only A Northern Song, Hey Bulldog and Across The Universe on side 1, coupled with All Together Now and It's All Too Much on side 2. Yes, it's the Yellow Submarine EP! And it was sold for a mere £1.875 ($3.125). 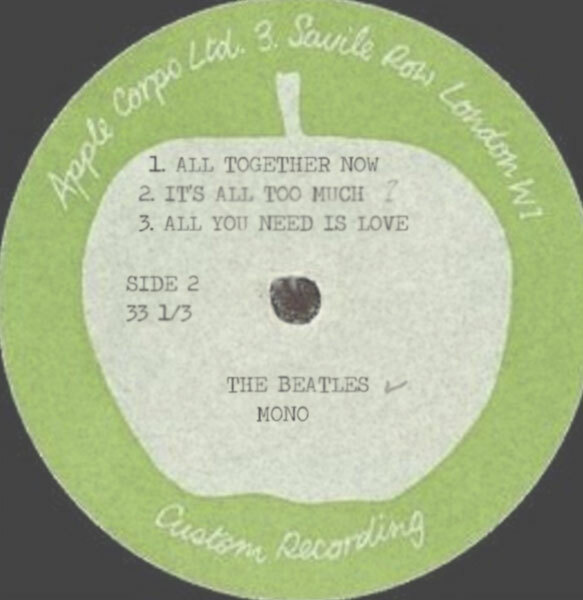 And a single sided 12" version with with track listing inscribed in blue ballpoint pen in an unknown hand Yellow Submarine, Hey Bulldog, Northern Song, All Together Now, It's All Too Much and All You Need Is Love was sold for as little as £600 ($1.000). BOSTON June 30th 2009: Yoko Ono is the rightful copyright holder of rare, intimate footage showing John Lennon and his family in London in February 8th, 9th, 10th & 11th 1970, a federal judge has ruled. U.S. District Court Judge Rya W. Zobel last week refused to reinstate a copyright-infringement lawsuit filed by a Lawrence, Mass.-based company against Lennon's widow and the broker who sold her the tapes. World Wide Video LLC sued Ono in March 2008, accusing her of copyright infringement and of wrongfully interfering with its personal property. Ono countersued, saying she is the rightful owner and that World Wide Video has no rights to the material. Ono wants to keep the material private. She did not immediately respond to a request for comment made by The Associated Press through her Boston attorneys. 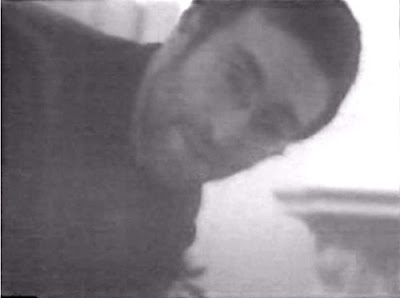 The 10 hours of footage was shot at Lennon's England estate in February 1970 - before the Beatles broke up - by Anthony Cox, Ono's husband before her marriage to Lennon in 1969. 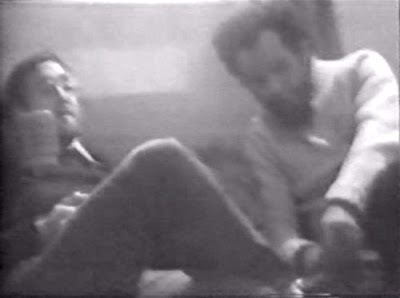 It shows Lennon hunched over a piano, smoking marijuana and joking about putting LSD in President Richard Nixon's tea. It has never been shown publicly in its entirety. Highlights of the raw footage include Lennon sharing his political views, Lennon and Ono interacting at their Tittenhurst estate in England, and Lennon smoking pot with self-styled black revolutionary and civil rights activist Michael X, who was hanged for murder two years later. Lennon blow-dries Ono’s hair as Bob Dylan’s “Just Like a Woman” plays in the background inside their Tittenhurst Park estate in England. "John also gives a tour of London that's a little bawdy," World Wide co-owner John Fallon said. "(The footage) culminates with the 'Top of the Pops' rehearsal . . . where they kind of premiered 'Instant Karma.' "
World Wide Video claimed it owns the raw footage. The company produced a two-hour documentary, "3 Days in the Life," using the footage, and planned to show it at a private school in Maine in 2007. The screening was scrapped after the company received a stop order from Ono's lawyers. The producers had previously shown excerpts from the film four times. In court documents, Ono said she had a "clear and absolute" agreement with Cox when he shot the footage that it would never be "commercially exhibited, commercially exploited or released." Ono said she purchased all rights to the videotapes for $300,000 in 2002 from Anthony Pagola, an intermediary who had copies. But the principals of World Wide Video - John Fallon and Robert Grenier - say that sale was invalid and that the company bought copyright from Cox for $125,000 in 2000. They claim Pagola wound up with the tapes after they were stolen by an ex-employee. Fallon and Grenier claim that, in 2001, Pagola approached them and threatened to destroy the tapes unless World Wide agreed to let him broker a sale. Fallon and Grenier claim that Pagola later sold the tapes and copyright to Ono without their permission and that he forged their signatures on the sale agreement. The judge on Thursday sided with Ono. On Monday, the court issued a notice of default against Pagola after he failed to respond to the lawsuit. The judge will issue the final order in the copyright infringement case after ruling on damages against Pagola, World Wide Video's attorney Joseph T. Doyle Jr. said. An 8:26 min excerpt from the film was released as a "trailer" back in 2007, when Fallon and Grenier were promoting the film.